For the steam locomotive, see LNER Class A4 4488 Union of South Africa. For other meanings, see South Africa (disambiguation). "The Call of South Africa"
Location of the Union of South Africa. South-West Africa shown as disputed area (occupied in 1915, administered as 5th province of the Union under a C-mandate from the League of Nations). The Union of South Africa is the historic predecessor to the present-day Republic of South Africa. It came into being on 31 May 1910 with the unification of four previously separate British colonies: Cape Colony, Natal Colony, Transvaal Colony and Orange River Colony. 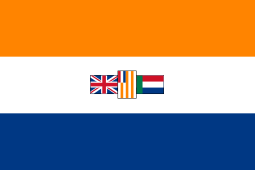 It included the territories formerly part of the Boer republics annexed in 1902, South African Republic and Orange Free State. Following World War I, the Union of South Africa was granted the administration of the German South-West Africa colony as a League of Nations mandate and it became treated in most respects as if it were another province of the Union, but never was formally annexed. 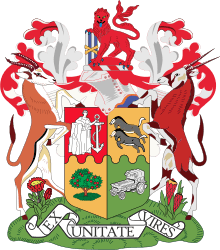 The Union of South Africa was a dominion of the British Empire, and became sovereign on 11 December 1931. 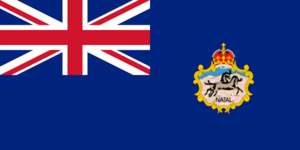 It was governed under a form of constitutional monarchy, with the Crown represented by a governor-general. The Union came to an end when the 1961 constitution was enacted. 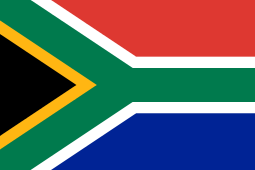 On 31 May 1961 the country became a republic and left the Commonwealth, under the new name Republic of South Africa. Most English-speaking whites in South Africa supported the United Party of Jan Smuts, which favoured close relations with the United Kingdom and the Commonwealth, rather than the Afrikaans-speaking Nationalists, many of whom held anti-British sentiments, and were opposed to South Africa's entry into the Second World War. Some extremist Nationalist organisations, like the Ossewa Brandwag, openly supported Nazi Germany during the Second World War. Subsequently the National Party Government passed a Constitution that repealed the South Africa Act. The features of the Union were carried over with very little change to the newly formed Republic. The decision to transform from a Union to Republic was narrowly decided in the referendum. The decision together with the Government's insistence on adhering to its policy of apartheid resulted in South Africa's de facto expulsion from the Commonwealth of Nations; South Africa left the association when it was resolved that it would not be permitted to remain on the terms it wished. The South Africa Act dealt with race in two specific provisions. First it entrenched the liberal Cape Qualified Franchise system of the Cape Colony which operated free of any racial considerations (although due to socio-economic restrictions no real political expression of non-whites was possible.) The Cape Prime Minister at the time, John X. Merriman fought hard, but ultimately unsuccessfully, to extend this system of multi-racial franchise to the rest of South Africa. Second it made "native affairs" a matter for the national government. The practice therefore was to establish a Minister of Native Affairs. 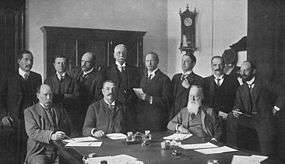 The Molteno Unification Plan (1877), put forward by the Cape government as a more feasible unitary alternative to confederation, largely anticipated the final act of Union in 1909. A crucial difference was that the Cape’s liberal constitution and multiracial franchise were to be extended to the other states of the union. These smaller states would gradually accede to the much larger Cape Colony through a system of treaties, whilst simultaneously gaining elected seats in the Cape parliament. The entire process would be locally driven, with Britain’s role restricted to policing any set-backs. While subsequently acknowledged to be more viable, this model was rejected at the time by London. At the other extreme, another powerful Cape politician at the time, Saul Solomon, proposed an extremely loose system of federation, with the component states preserving their very different constitutions and systems of franchise. War started on 11 October 1899 and ended on 31 May 1902 as Great Britain was aided by its Cape Colony, Colony of Natal and some native African allies. The British war effort was further supported by volunteers from across the Empire. All other nations were neutral, but public opinion in them was largely hostile to Britain. Inside Britain and its Empire there also was a significant Opposition to the Second Boer War because of the atrocities and military failures. The British were overconfident and under prepared. Prime Minister Salisbury and his top officials, especially colonial secretary Joseph Chamberlain, ignored the repeated warnings of military advisors that the Boers were well prepared, well armed, and fighting for their homes in a very difficult terrain. The Boers struck first, besieging Ladysmith, Kimberly, and Mafeking in early 1900, and winning important battles at Colenso, Magersfontein and Stormberg. 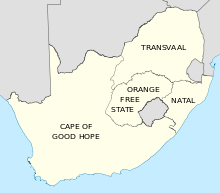 Staggered, the British fought back, relieved its besieged cities, and prepared to invade first the Orange Free State, and then Transvaal in late 1900. The Boers refused to surrender or negotiate, and reverted to guerrilla warfare. After two years of hard fighting, Britain, using over 400,000 soldiers systematically destroyed the resistance, raising worldwide complaints about brutality. The Boers were fighting for their homes and families, who provided them with food and hiding places. The British solution was to forcefully relocate all the Boer civilians into heavily guarded concentration camps, where about 28,000 died of disease. Then it systematically blocked off and tracked down the highly mobile Boer combat units. The battles were small operations; most of the dead were victims of disease. The war ended in victory for the British and the annexation of both republics, which became the Transvaal Colony and the Orange River Colony. The inhospitable coast of what is now the Republic of Namibia remained uncolonised up until the end of the nineteenth century. 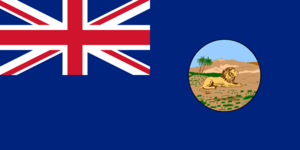 Following the outbreak of the First World War in 1914 the Union of South Africa occupied and annexed the German colony of German South-West Africa. With the establishment of the League of Nations and cessation of the war, South Africa obtained a Class C Mandate to administer South-West Africa "under the laws of the mandatory (South Africa) as integral portions of its territory". Subsequently the Union of South Africa generally regarded South-West Africa as a fifth province, although this was never an official status. With the creation of the United Nations, the Union applied for the incorporation of South-West Africa, but its application was rejected by the U.N., which invited South Africa to prepare a Trusteeship agreement instead. This invitation was in turn rejected by the Union, which subsequently did not modify the administration of South-West Africa and continued to adhere to the original mandate. This caused a complex set of legal wranglings that were not finalised when the Union was replaced with the Republic of South Africa. In 1949, the Union passed a law bringing South-West Africa into closer association with it including giving South-West Africa representation in the South African parliament. Walvis Bay, which is now in Namibia, was originally a part of the Union of South Africa as it was a part of the Cape Colony at the time of Unification. In 1921 Walvis Bay was integrated with the Class C Mandate over South-West Africa for the rest of the Union's duration and for part of the Republic era. 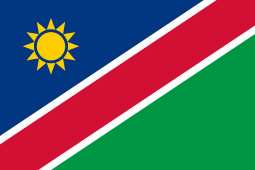 In 1990 South-West Africa gained independence as Namibia, but Walvis Bay remained under South African sovereignty. At midnight on 28 February 1994 South Africa formally transferred sovereignty over Walvis Bay and the Penguin Islands to Namibia. The Statute of Westminster 1931 passed by the Imperial Parliament in December 1931, which repealed the Colonial Laws Validity Act and implemented the Balfour Declaration 1926, had a profound impact on the constitutional structure and status of the Union. The most notable effect was that the South African Parliament was released from many restrictions concerning the handling of the so-called "native question". However the repeal was not sufficient to enable the South African Parliament to ignore the entrenched clauses of its constitution (the South Africa Act) which led to the coloured-vote constitutional crisis of the 1950s wherein the right of coloureds to vote in the main South African Parliament was removed and replaced with a separate, segregated, and largely powerless assembly. ↑ Robertson, Janet (1971). Liberalism in South Africa: 1948-1963. Oxford: Clarendon Press. ↑ "EISA South Africa: Historical franchise arrangements". Eisa.org.za. Retrieved 2013-07-01. ↑ Solomon, W. E. C: Saul Solomon - the Member for Cape Town. Cape Town: Oxford University Press, 1948. ↑ J.A.S.Grenville, Lord Salisbury, and Foreign Policy (1964) pp 235-64. ↑ Iain R. Smith, The Origins of the South African War, 1899-1902 (1996). ↑ Denis Judd and Keith Surridge, The Boer War: A History (2013) pp 1-54. ↑ Judd and Surridge, The Boer War: A History (2013) pp 55-302. Mackenzie, W. Douglas, and Alfred Stead, South Africa: Its History, Heroes, and Wars, Four Books in One Volume, Toronto, Ont. : W. Briggs, cop. 1899, pref. 1900. N.B. : Mentioned also on t.p. : "Superbly illustrated, with original drawings and photographs, under the direction of George Spiel." C.J. Muller (ed. ), 500 Years History of South Africa, H&R Academica 1969. L. Thompson, The Unification of South Africa 1902 - 1910, Oxford University Press 1960. Verloren Van Themaat, Staatsreg, Butterworths, Durban, 1967. H.R. Hahlo & Ellison Kahn, The Union of South Africa, The development of its laws and constitution Stevens & Sons Limited, London, 1960.